View of “Andreas Slominski,” 2018. * Photo: Genevieve Hanson. High on the list of a novice art lover’s mistakes must surely be wandering into a Chelsea gallery and asking to use the bathroom. 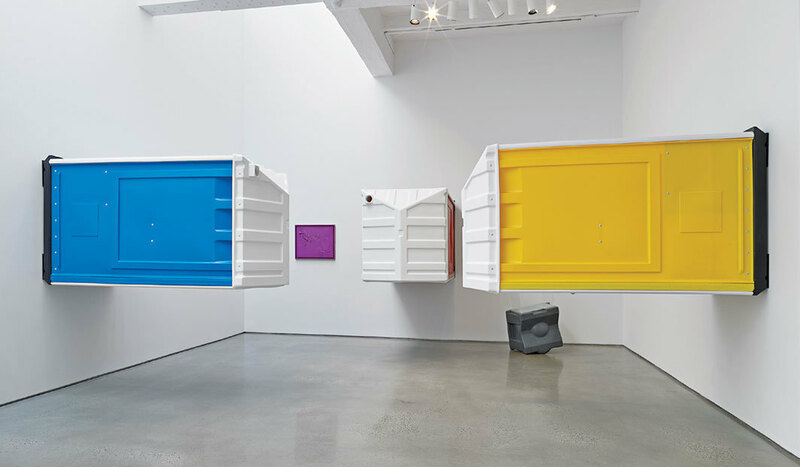 Unfortunately, the portable toilets installed by Andreas Slominski in his recent exhibition at Metro Pictures did not function in the conventional sense—unless some gutsy viewer decided to take a tip from Jackson Pollock, who, during the 1943 unveiling of his commissioned painting Mural, notoriously urinated in Peggy Guggenheim’s fireplace—so a full-bladdered visitor’s needs likely remained unresolved.